• This is the first known study evaluating combined temperature and pCO2 effects on cercarial life history traits. • A trade-off between cercarial emergence and survival was observed at high water temperature. • Combined effects of higher levels of temperature and pCO2 reduce cercarial survival. • Combined levels of temperature and pCO2 produce species-specific responses in emergence of cercariae. • It is suggested that infection of these trematode species in upwelling areas could increase in the future. Ocean warming and acidification are general consequences of rising atmospheric CO2 concentrations. In addition to future predictions, highly productive systems such as the Humboldt Current System (HCS) are characterized by important variations in both temperature and pCO2 level, but how these physical-chemical ocean changes might influence the transmission and survival of parasites has not been assessed. This study experimentally evaluated the effects of temperature (14, 18 and 25°C) and the combined effects of temperature (∼15 and 20°C) and pCO2 level (∼500 and 1400 microatmospheres (µatm) on the emergence and survival of two species of marine trematodes—Echinostomatidae gen. sp. and Philophthalmidae gen. sp.— both of which infect the intertidal snail Echinolittorina peruviana. Snails were collected from intertidal rocky pools in a year-round upwelling area of the northern HCS (23°S). Two experiments assessed parasite emergence and survival by simulating emersion-immersion tidal cycles. To assess parasite survival, 2 h old cercariae (on average) were taken from a pool of infected snails incubated at 20–25°C, and their mortality was recorded every 6 h until all the cercariae were dead. For both species, a trade-off between high emergence and low survival of cercariae was observed in the high temperature treatment. Species-specific responses to the combination of temperature and pCO2 levels were also observed: the emergence of Echinostomatidae cercariae was highest at 20°C regardless of the pCO2 levels. By contrast, the emergence of Philophthalmidae cercariae was highest at elevated pCO2 (15 and 20°C), suggesting that CO2 may react synergistically with temperature, increasing transmission success of this parasite in coastal ecosystems of the HCS where water temperature and pH are expected to decrease. In conclusion, our results suggest that integrating temperature-pCO2 interactions in parasite studies is essential for understanding the consequence of climate change in future marine ecosystem health. • Under lower water salinity, parasite infection reduced cockle antioxidant defence. • Under higher water temperature, parasite infection increased cockle cellular damage. • Under higher pCO2, parasite infection induced cockle metabolic depression. Resulting mainly from atmospheric carbon dioxide (CO2) build-up, seawater temperature rise is among the most important climate change related factors affecting costal marine ecosystems. Global warming will have implications on the water cycle, increasing the risk of heavy rainfalls and consequent freshwater input into the oceans but also increasing the frequency of extreme drought periods with consequent salinity increase. For Europe, by the end of the century, projections describe an increase of CO2 concentration up to 1120 ppm (corresponding to 0.5 pH unit decrease), an increase in the water temperature up to 4 °C and a higher frequency of heavy precipitation. These changes are likely to impact many biotic interactions, including host–parasite relationships which are particularly dependent on abiotic conditions. In the present study, we tested the hypothesis that the edible cockle, Cerastoderma edule, exposed to different salinity, temperature and pH levels as proxy for climate change, modify the infection success of the trematode parasite Himasthla elongata, with consequences to cockles biochemical performance. 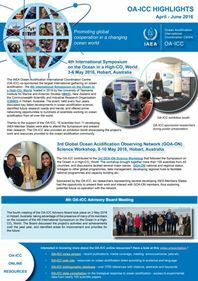 The results showed that the cercariae infection success increased with acidification but higher biochemical alterations were observed in infected cockles exposed to all abiotic experimental stressful conditions tested. The present study suggested that changes forecasted by many models may promote the proliferation of the parasites infective stages in many ecosystems leading to enhanced transmission, especially on temperate regions, that will influence the geographical distribution of some diseases and, probably, the survival capacity of infected bivalves. In future global change scenarios the surface ocean will experience continuous acidification and rising temperatures. While effects of both stressors on marine, benthic communities are fairly well studied, consequences of the interaction of both factors remain largely unknown. We performed a short-term microcosm experiment exposing a soft-bottom community from an intertidal flat in the Westerscheldt estuary to two levels of seawater pH (ambient pHT = 7.9, reduced pHT = 7.5) and temperature (10 °C ambient and 13 °C elevated temperature) in a crossed design. After 8 weeks, meiobenthic community structure and nematode staining ratios, as a proxy for mortality, were compared between treatments and structural changes were related to the prevailing abiotic conditions in the respective treatments (pore water pHT, sediment grain size, total organic matter content, total organic carbon and nitrogen content, phytopigment concentrations and carbonate concentration). Pore water pHT profiles were significantly altered by pH and temperature manipulations and the combination of elevated temperature and reduced pH intensified the already more acidic porewater below the oxic zone. Meiofauna community composition was significantly affected by the combination of reduced pH and elevated temperature resulting in increased densities of predatory Platyhelminthes, reduced densities of Copepoda and Nauplii and complete absence of Gastrotricha compared to the experimental control. Furthermore, nematode staining ratio was elevated when seawater pH was reduced pointing towards reduced degradation rates of dead nematode bodies. The observed synergistic interactions of pH and temperature on meiobenthic communities and abiotic sediment characteristics underline the importance of multistressor experiments when addressing impacts of global change on the marine environment. Trematodes on acid: editorial comment on the feature article by Guilloteau et al. The field of ocean acidification (OA) research is moving rapidly, moving from studying first-order direct effects of lowered pH and carbonate ion concentration impinging directly upon organismal physiology to ask how species interactions are modified. How host–parasite interactions may be modulated by ocean acidification is currently largely unknown, in particular for macroparasites (=metazoan animal parasites). This is unfortunate, given that these interactions are among the strongest biological interactions in all ecosystems, while their food web role, in particular in coastal systems, is often neglected (but see Kuris et al. 2008). 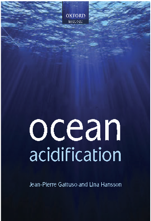 Ocean acidification is predicted to impact the structure and function of all marine ecosystems in this century. As focus turns towards possible impacts on interactions among marine organisms, its effects on the biology and transmission potential of marine parasites must be evaluated. In the present study, we investigate two marine trematode species (Philophthalmus sp. and Parorchis sp., both in the family Philophthalmidae) infecting two marine gastropods. These trematodes are unusual in that their asexually multiplying stages within snails display a division of labour, with two distinct castes, a large-bodied morph producing infective stages and a smaller morph playing a defensive role against other competing parasites. Using a potentiometric ocean acidification simulation system, we test the impacts of acidified seawater (7.8 and 7.6 pH) on the production of free-living infective stages (cercariae), the size and survival of encysted resting stages (metacercariae), and the within-host division of labour measured as the ratio between numbers of the two morphs. In general, low pH conditions caused an increase in cercarial production and a reduction in metacercarial survival. The ratio of the two castes within snail hosts tended to shift towards more of the smaller defensive morphs under low pH. However, the observed effects of reduced pH were species specific and not always unimodal. These results suggest that ocean acidification can affect the biology of marine parasites and may also impact transmission success and parasite abundance of some trematodes, with possible consequences for marine communities and ecosystems.